One in five Americans suffers from mental illness, yet only 44 percent receive treatment. Why? People with behavioral health problems face a growing number of obstacles that prevent them from receiving the care they need – from provider shortages to finances the mere unwillingness to seek treatment due to stigma. With telehealth, primary care physicians – nearly half of which treat mental health conditions – now have another viable option: online cognitive behavioral therapy, or iCBT. 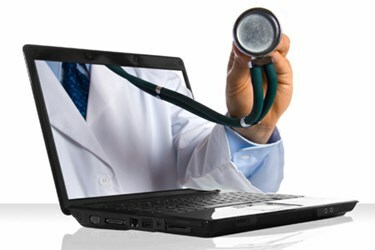 In fact, 75 percent of healthcare executives believe telemedicine has the potential to transform the standard of care for behavioral health and psychiatry. iCBT is the use of cognitive and behavioral techniques that are typically used in face-to-face therapy for treating mental health issues. The online version is composed of education, skills training, activities and exercises to promote the application of new knowledge and coping skills. It does this through structured modules of content that are delivered using text, pictures, animations, audio files and videos – all of which can be done anytime, from the comfort and privacy of the patient’s own home. The U.S. is facing a growing shortage of clinicians – particularly in rural areas, where the majority of American’s live. Some states, such as Alabama, have a 1 to 260 clinician-to-patient ratio. Lengthy wait times – even in major cities – also pose as a significant challenge. Patients in Boston, for example, have to wait up to 66 days on average to see a doctor for a traditional in-clinic visit. To adequately address demand, at least 5.9K more mental health professionals are needed in the U.S.
For patients – especially those in need of immediate treatment, iCBT eliminates wait times for a face-to face appointment, granting immediate access to care. Further, numerous clinical studies have shown online therapy solutions to be equally effective as face-to-face interventions. Patients who cannot access standard healthcare services – whether they suffer from other heath conditions and are prohibited from travel or don’t have access to transportation – can access iCBT anytime, from any location. From a provider’s perspective, the ability to enroll patients’ immediately and identify a need rather than having them call or schedule an appointment, also promotes continuity of care and increases clinical workflow. Additionally, studies have shown that individuals leveraging web-based therapy are more likely to remain engaged in face-to-face therapies when online treatments are used as a supplement. For many individuals, sharing intimate feelings with a stranger makes them incredibly uncomfortable. While younger generations are typically more open to face-to-face therapeutic interventions, for many, including those in the Baby Boomer generation, there is a stigma attached to mental health and a desire to keep problems private. Privacy issues are also a concern for people wanting or needing to seek treatment for mental health. In rural communities, for example, residents may actually know the behavioral healthcare specialist personally – if the community is even lucky enough to have one. In larger communities, patients might be hesitant to share personal information that makes them vulnerable to a stranger or question whether the practitioner abides by HIPAA standards. While as a society we still have a long way to go in terms of eliminating the stigma associated with mental illness, iCBT can be a more appealing option for those individuals too embarrassed to seek treatment. In the treatment of mild to moderate mental health conditions, iCBT platforms demonstrate the ability to offer services to six times as many patients than other care models, while generating the same outcomes. This has allowed healthcare providers to offer iCBT programs across their entire population, while minimizing valuable resources and better enabling hospitals to triage patients. For patients, online therapy also offers a less expensive option than in-person therapy. Typically, iCBT is a low-intensity intervention where patients can move through the online content at a self-administered pace, reducing the amount of clinical support time required. In addition to the cost of a face-to-face therapy session, iCBT eliminates the need for patients to take time off from work during business hours, as well as the drive time to and from a specialists’ office. Eventually, online therapy can help ease the strain put on emergency services for the treatment of behavioral health, which all too often serves as the first line of care for patients without insurance. iCBT allows providers and payers to offer scalable solutions that have a high degree of efficacy. There are numerous online therapy solutions that can be customized to meet the individual needs of health systems and their populations, with the ability to easily integrate with existing technologies. These solutions can be used throughout the care pathway and enhance the patient-doctor experience and results. Developers of iCBT solutions have made the integration simple and user experience intuitive to help promote adoption and effective results. Widespread adoption of web enabled devices web and cellular coverage, internet-based programs transcend geography, reaching any web-enabled device, anywhere. Whether someone lives in a skyscraper or on a farm, where doctors are plentiful or scarce, help for mental illness is readily accessible. iCBT offers clinically validated, easy to integrate, scalable solutions to health systems to address the waiting lists and access issues at the core of behavioral health delivery across the U.S.
Derek Richards, Ph.D., is the director of clinical research at SilverCloud Health, which provides evidence-based online mental health and behavioral healthcare solutions.